The village of Benington is home to the historical Benington Lordship House and Gardens, comprised of a red brick Georgian manor house, the ruins of a motte and bailey castle, and an early 19th century folly. 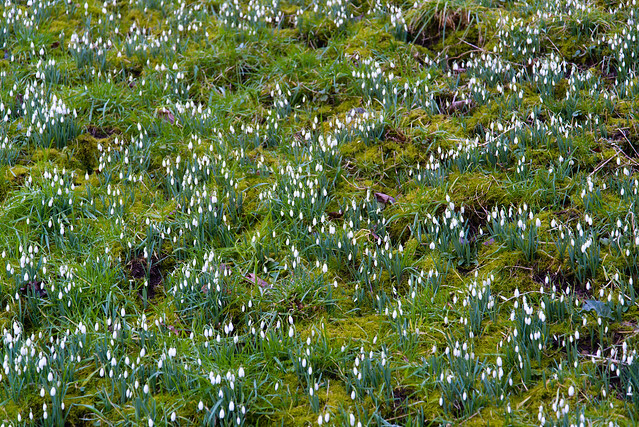 Carpeted with snowdrops during the early months of the year, the gardens at Benington Lordship provide the perfect backdrop while exploring the grounds of this history-soaked estate. During the snowdrop open days, St Peter’s Church will be holding a series of free concerts at 2.30pm each Sunday. Nestled at the end of a country lane in the village of Long Marston is Old Church Cottage, the 400 year old thatch-roofed cottage, Grade II* listed Norman church tower and disused graveyard. 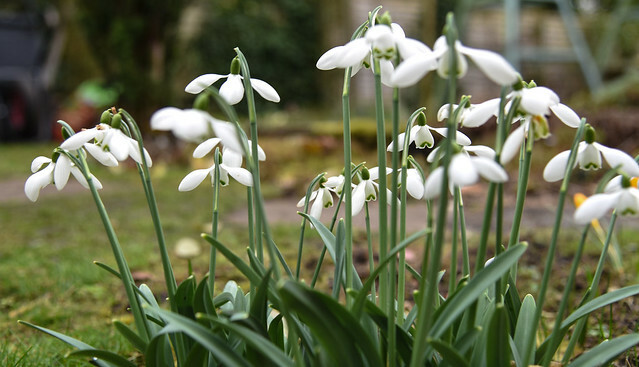 The cottage gardens see a plethora of wildlife throughout the year, including swathes of snowdrops during February. The Walkern Hall estate in Stevenage is a popular wedding and events destination because of the stunning parkland surroundings and striking Georgian house itself. 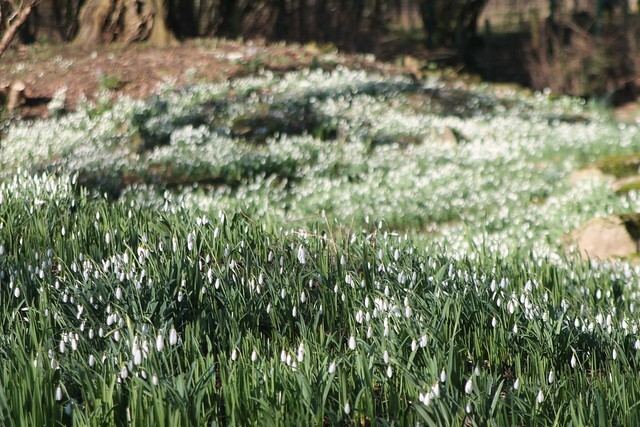 On one weekend in February, the hall will open its gardens up for the National Garden Scheme’s Snowdrop Festival. The small garden at 1 Elia Cottage in Ware is bursting with flora throughout the year. The garden is comprised of a stream and pond with a mini bridge and winding paths with seats to pause for a moment of peaceful reflection while exploring. Two days in February will provide visitors the chance to explore the early spring snowdrops that will pepper the third of an acre garden. 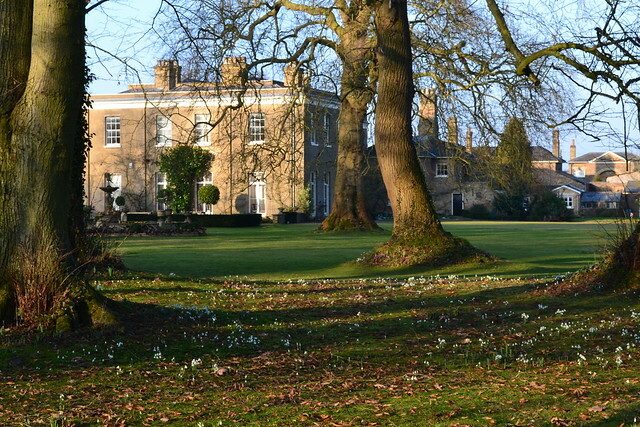 There are eight acres of gardens to explore at Myddleton House, former home of renowned gardener, artist and botanist Edward Augustus Bowles. It is comprised of lots of pretty sections including The Stone Garden, The Rock Garden, The Alpine Meadow and even a Victorian Glasshouse. 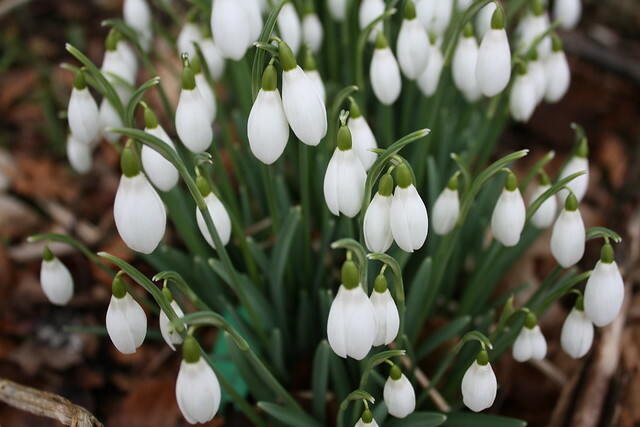 Snowdrops in many varieties will be bursting through the ground around the gardens during February, so make sure to pay a visit and find out the fascinating history of these gardens which are full of exotic flora to discover.